If you use ggplot2, ggplotly() converts your static plots to an interactive web-based version! Moreover, since ggplotly() returns a plotly object, you can apply essentially any function from the R package on that object. Some useful ones include layout() (for customizing the layout), add_traces() (and its higher-level add_*() siblings, for example add_polygons(), for adding new traces/data), subplot() (for combining multiple plotly objects), and plotly_json() (for inspecting the underlying JSON sent to plotly.js). The ggplotly() function will also respect some “unofficial” ggplot2 aesthetics, namely text (for customizing the tooltip), frame (for creating animations), and ids (for ensuring sensible smooth transitions). 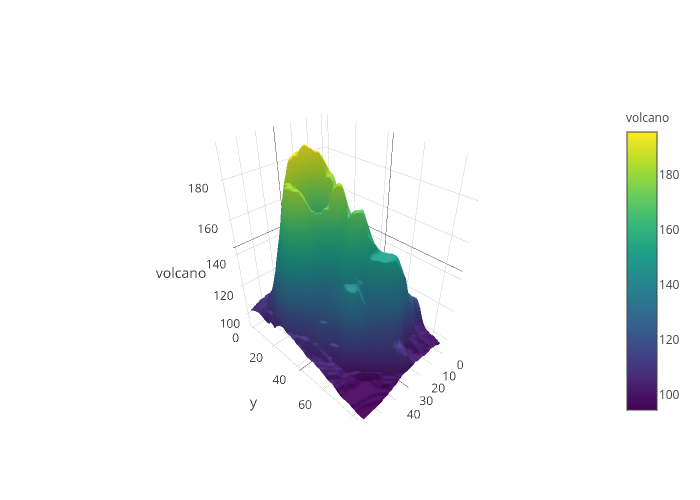 The plot_ly() function provides a more direct interface to plotly.js so you can leverage more specialized chart types (e.g., parallel coordinates or maps) or even some visualization that the ggplot2 API won’t ever support (e.g., surface, mesh, trisurf, etc). Please read through our contributing guidelines. Included are directions for opening issues, asking questions, contributing changes to plotly, and our code of conduct.